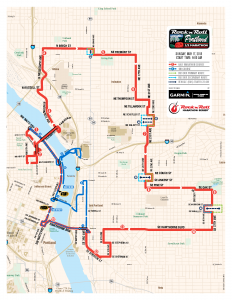 If you ride a TriMet bus this Sunday, May 17, be sure to plan ahead as the Rock ‘n’ Roll ½ Marathon sports a new route that could lead to significant delays for 14 bus lines. Also, of the 291 bus stops inside the race perimeter, 154 will be closed and the majority of those will not have a temporary stop alternative. If you take one of the affected bus lines between 7:45 a.m. and late-afternoon Sunday, plan at least an extra 30 minutes into your trip. Check trimet.org/alerts for details on the impact to your line. It may take some time after the race ends to get our buses back on schedule. Also, buses on other lines may face delays due to traffic congestion. The run steps off Sunday at 8:15 a.m. in Portland City Center before crossing the river. While the route is new, so is the addition of “bus boxes”. Race organizers have set up four locations that intersect the course where they will allow buses and all traffic through at times by shifting the course and letting vehicles waiting in a one-to-four block stretch go through. 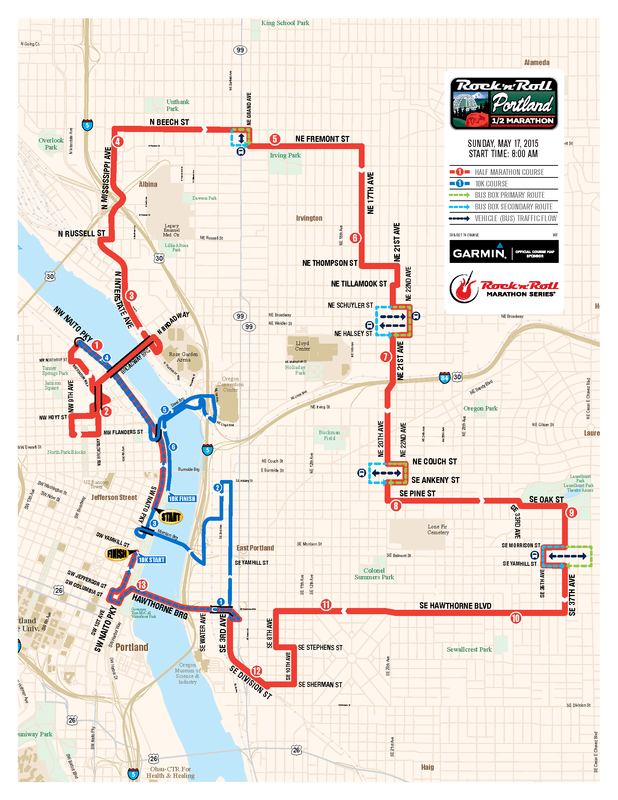 All MAX lines and about nine bus lines serve the Portland City Center on Sunday within about seven blocks of the start and finish lines. Those heading to the race on MAX from the west side should get off Blue/Red Line trains at the Yamhill District Station and walk toward Tom McCall Waterfront Park. Coming from the eastside, get off the trains at the Morrison/SW 3rd Ave Station. If taking the Green or Yellow lines, exit at Pioneer Place/SW 5th Ave and head toward the river. Remember fares are required on all TriMet vehicles including MAX. TriMet customer service staff will be at the event’s Health & Fitness Expo, being held at the Oregon Convention Center Friday and Saturday, pre-selling fares for Sunday as well as providing service information. Our free TriMet Tickets mobile app lets you easily purchase and use tickets and passes for MAX or bus instantly on your phone – anywhere, anytime. Learn more at trimet.org/mobiletickets. TriMet’s online trip planner makes it easy to plan your trip to the Convention Center or the run. Visit trimet.org, m.trimet.org for smartphones for information on travel and walk times and cost.